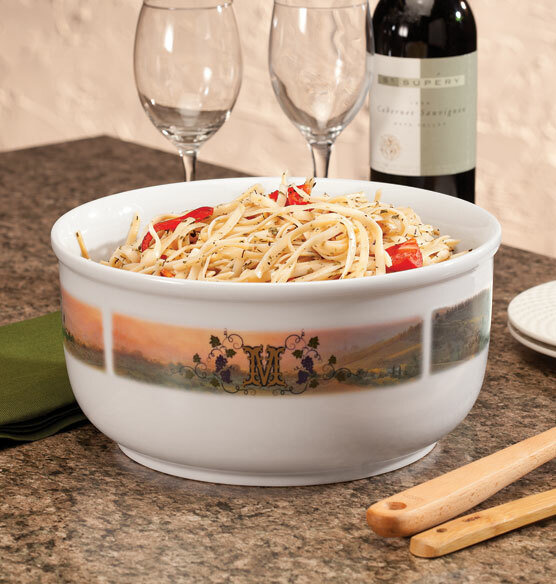 Personalized Tuscan Sunset serving bowl serves up a touch of Tuscany along with your meal. 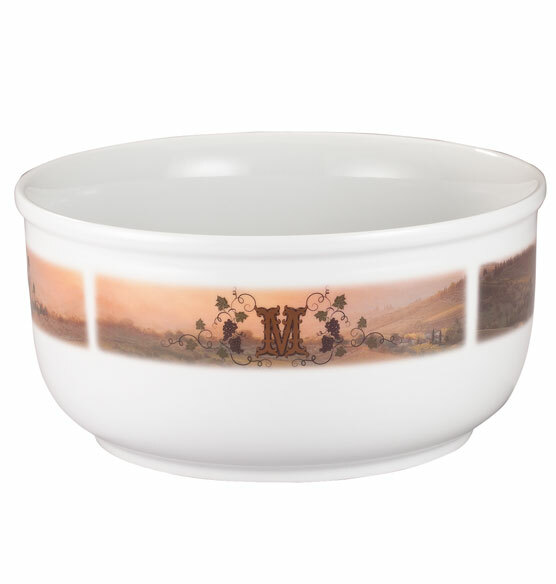 The four continuous images on this personalized bowl wrap all the way around the bowl, so you can enjoy the design from any angle. The bowl is the perfect size for serving pasta, veggies and other big family meals. Personalize with a single initial to create a kitchen accent that's uniquely yours. Love the bowl, but it was for my wife's birthday, and took almost 4 weeks to come in, 2 full weeks over the eta they gave me, so we missed her birthday.